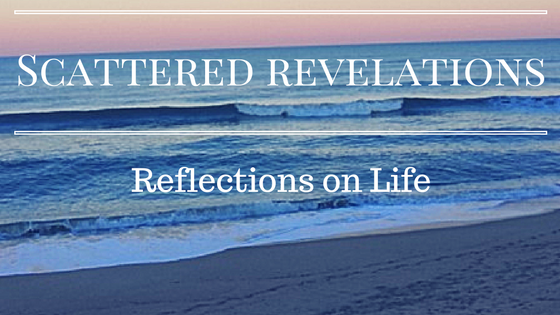 I preached this sermon on Sunday February 22, 2015 at the Unitarian Universalist Congregation of the Outer Banks. But before we go any further, I realize that many of you reading this letter may not be comfortable being addressed in the collective sense—as white America. While we are quite used to referring to black folks and other people of color in terms of their group identity, we insist on referring to ourselves individually, almost as if to suggest that we lacked a racial identity, or that if we possess one, it contains no relevance to our lives. “I’m not white,” some of you may say “I’m just an American.” Those are easy words to mouth when you’ve always been able to take your Americanness, your citizenship and your belonging for granted. Or better still some say, I’m not white, I’m just Bill,” or “Suzie” or “Tom” or “Mary” or whatever one’s name may be. And yet although we may prefer to deny it, I know that there is such a thing as White America. I know it because I am white myself, and have lived a life that has been intensely racialized. It’s an experience that I doubt seriously is mine alone. From where I grew up, to the schools I attended, to the jobs I had, to the way I have been treated by authority figures—be they teachers, employers or cops—most everything about my experience has been at least partially (often significantly) related to my racial identity. So even though everyone is different, being white in America has meant something, just as being black, Latino, Asian or an indigenous person has meant something. History happened and it matters. Like Tim Wise, I am white and that still matters. As much as we may hope that it doesn’t, the reality is that my life is shaped by the privilege of having been born with white skin. Unitarian Universalism, despite the numerous efforts in the last decades to become more multi-cultural, more welcoming to people of color is still an overwhelmingly white religious community. We here at the UU Congregation of the Outer Banks are no different - we are an overwhelmingly white faith community and that matters. Now some of us may be uncomfortable with all this discussion of whiteness, of racism. That is understandable - it is not a comfortable topic. One of the reasons I appreciate Tim Wise so much is that he speaks a great deal to liberal white people who see themselves as allies of people of color. He calls upon us to be better, to do better and most of all to acknowledge that race still matters. I know many people in this room have been allies, who have worked on behalf of civil rights. Yet we may still be uncomfortable with discussion of race or thinking of ourselves as white. After all we don’t have to think of ourselves as white - as Tim tells us in the reading we can be known by our individual names or as American. No one questions whether we are here legally, whether we are citizens, whether we have a right to vote, drive a nice car, be in any particular public space. White is normal, it is average, it is what we know. Because it is so normal, so average, it is easy for us as white people to assume that if it is true for us or works for us, it works the same way for everyone. I cannot tell you exactly when I realized that I was white - I was young. I was born after the Civil Rights and Voting Rights Acts had been passed, Martin Luther King Jr. was assassinated when I was still a baby. I started school in the heat of bussing. I only attended one year of public school I grew up in the suburbs of California, eight and half years in Southern California and then the rest in the San Francisco Bay Area where my parents, my sister and her family still live. I heard my parents talking about bussing and schools. Many elementary school children were being bussed an hour and half to two hours to school. They had to be at bus stops very early in the morning and did not get home until late in the afternoon. Whether or not a child was bussed was a random assignment based on birthdays. Many families, white families, sought to get their children into my Roman Catholic school - to the point that they closed the waiting list and limited enrollment to members of the parish. I remember thinking that it wasn't right to bus children so far to go to school and that what would happen if a child became ill during the day and needed to go home. My school was all white, there was no diversity. Somehow even from a young age I knew there was something not quite right with a school, a community that looked so much the same. Maybe it was because of another formative story. My great-grandfather, Manuel Sequeira. Manuel immigrated to America from the Azores in Portugal. He learned English and entirely lost his accent, he even called himself Frank Smith. One way to describe this story is that my great-grandfather made himself white. When he went to propose to my great-grandmother, Mollie O’Connor, he had to tell her that his name was really Manuel Sequeira. My grandfather lamented that they were never taught Portuguese because it would have helped him with Spanish. It was always a bittersweet story - on the one hand a story of the successful immigrant, the great American melting pot and yet on the other hand so much was lost not just the language. I took my first formal anti-racism training at my first job with Catholic Charities. We did an anti-racism training by the Anti-Defamation League and they talked about systemic racism--that as a white person in a culture and system that privileged whiteness that I was a racist - not because I chose that, not because I wanted to be but rather the color of my skin, my whiteness gave me privilege that others did not have. It made sense to me - racism was not just about personal prejudice but about the systematic ways our government, social, education, health structures privilege those who are white. While without a doubt we have made a great deal of progress from the days of slavery and the days of Jim Crow, yet institutions do not change easily or readily. Systems that were set up with one set of assumptions do not adapt well. It is not just a matter of add people of color and stir. Access is not enough; laws are not enough; what is needed is a change of hearts and minds. That change begins in part with we who most benefit from the system acknowledging that we as white people are privileged and these systems work for us. When the systems and structures change; when we are no longer at the center; that our privilege may have been displaced - it is uncomfortable, we can feel like we are losing something; it can feel like our world is falling apart. Yet for the sake of the very lives and well-being of people of color - we who are white must be made uncomfortable. This is not just for their sake but for the sake of all of us. True justice, true well-being knows my own well being, our own well being is intrinsically tied to the well being of others. Often white privilege manifests itself like it did in our story today. The Duke wants to feel important. So he begins with not allowing anyone but him to have the jelly beans - he begins with a concern about scarcity - what happens to me if we run out of jelly beans. It really doesn't matter if there are enough jelly beans or not, when a person feels a scarcity of something no amount of presentation of the facts can change the fundamental sense of scarcity because it is not about the jelly beans. Then the Duke sees a concern - the children are being disrespectful and he decides it must be the books they are reading so he begins banning books. Finally the Duke, drawing on his own experience, says I had 1 mom and 1 dad and I turned out great that must be how it is for everyone. So let’s make sure everyone turns out great by insisting that they have the exact experience I had and banning anything different. That is how privilege operates - it operates often with good intention with terrible impact. That is why it is so critical to understand that our experience of white people in this country is not the experience shared by people of color. Back during the Presidential election of 2012, a student of color at William and Mary was excited to be voting in her first presidential election. She posted on Facebook that she had her 2 forms of id ready and no one was going to stop her from voting. Her post reminded me of the excitement I had while at Georgetown and getting ready to vote in my first Presidential election. Yet for me I never worried that someone would question my right to vote, would require that I provide 2 forms of ID to prove I was eligible to vote. Same event - first time voting in a Presidential election and yet two different experiences. She is no less qualified to vote than me except the color of her skin will cause her right to be questioned. This isn’t 50 years ago, this is 2 years ago. The situation is worse now with states passing strict voter ID laws, limiting early voting and making it more difficult for people, specifically people of color to vote. 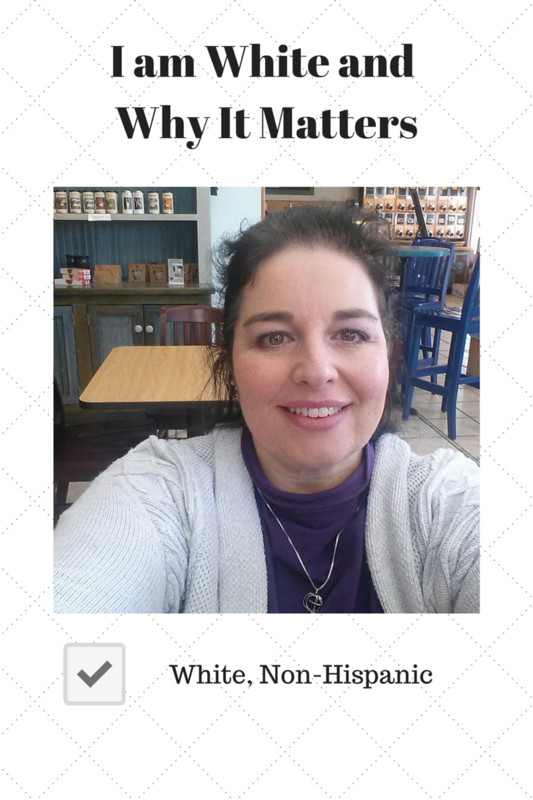 It matters than I am white because the reality is that no one will question my eligibility to vote. Over and over in every area of life - education, work, housing, government, health, religion - race makes a difference. Race plays a role. So what are we as a liberal people of faith to do? What is our response? Does our faith have something to say? Yes it does. It says we must be willing to wrestle with our own story of being white in America today. It means understanding how being white shapes our experience and attitudes. That way we can open ourselves to other narratives, other stories. We can learn to suspend judgement. We can listen to the stories of people of color and not immediately jump to “that can’t be true” “that can’t be the norm” - we can stop and listen and consider what if it is true; what if it is the norm. As people of faith, of a welcoming, liberal, free faith, we must open ourselves to new information. It is not about guilt and feeling bad - it is about using our critical mind to examine our own assumptions and privilege. As liberal people it can be easy to pat ourselves on the back and say “well I am not like that person or that group over there who has no understanding of racism.” It can be easy to rest on how far we have come - yet it is also dangerous. We may not see how we unintentionally perpetuate racism. Good intentions are not enough, we must become aware of the ways we impact people without realizing it. When we ask the person of color to speak for all people of color. When we make broad generalizations of people of color. When we tell people we don’t see color - because when we say we are color blind that we don’t see color then we are denying both our unearned privilege and the reality that we live within a system that continues to see color. When we dismiss the anger and pain of people by saying that we don’t want to hear it, or it makes us uncomfortable or that they need to “let it go”. Our faith calls us to be uncomfortable.